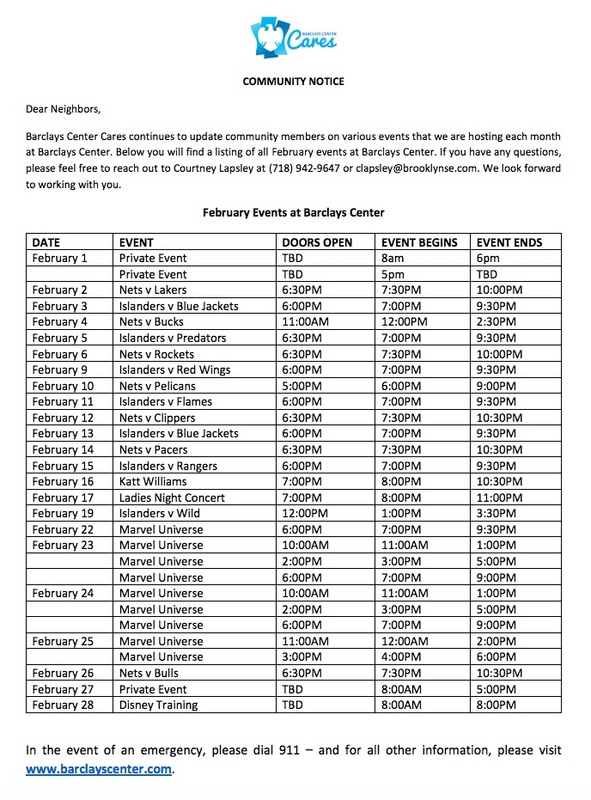 The Barclays Center has released its February 2019 calendar, which includes 11 events over 10 days: six Brooklyn Nets games, three New York Islanders games, one concert, and one G-League Long Island Nets game. 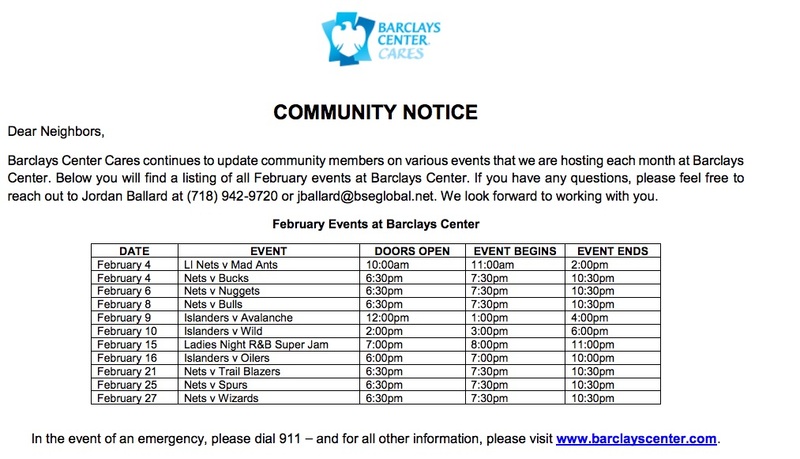 No private events are listed. 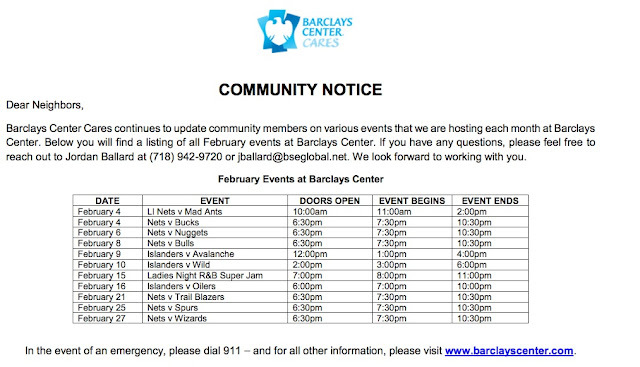 In the previous two years, there were a significant number of family shows, as well. 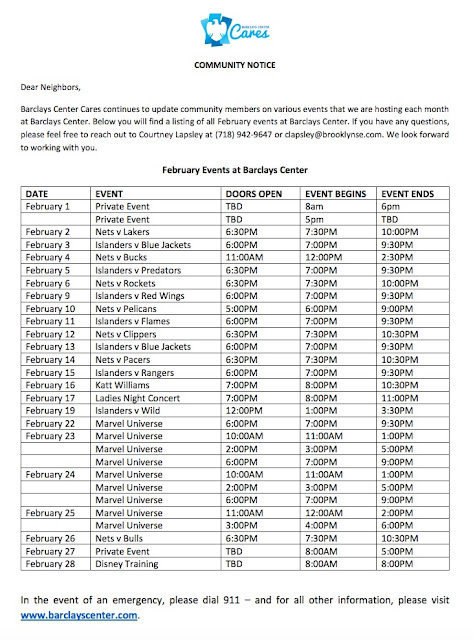 Beyond the four private events on three days, in February 2018 there were 25 ticketed events on 20 days: seven Nets games, seven Islanders games, one concert, one comedy event, and nine Marvel Universe superhero circus events.